There are few travel experiences as annoying as arriving at a hotel after a long trip, and being forced to wait in a line to check in. On the other hand, it’s gratifying to bypass the line and receive immediate service when you have elite status with a major hotel chain. On top of that, guests with elite status can enjoy other perks like room upgrades, late check-outs and even free breakfast. Finally, having elite status means that you’ll earn more reward points for every dollar you spend. Normally, you earn elite status by being a frequent guest at hotels within a chain. But in addition, there are many hotel credit cards that offer you elite status just for being a cardholder. Many of these cards also feature additional nights or stay credit towards reaching the next level of status. The Platinum Card from American Express and The Enhanced Business Platinum® Card from American Express OPEN. These cards give you elite status with three different hotel programs. First, you receive Gold elite status with the Hilton HHonors program, which normally requires 20 stays, 40 nights or 75,000 HHonors base points. It offers benefits such as late checkouts and even free breakfast at some properties. It also offers you Gold status in the Starwood Preferred Guest program. And since Starwood was acquired by Marriott in 2016, you now get Gold status in the much larger Marriott Rewards program as well. There’s a $450 annual fee for these cards. Citi® Hilton HHonors Reserve Card. This card offers you HHonors Gold status from day one, as well as top-tier HHonors Diamond status if you use the card to spend $40,000 within a calendar year. There’s a $95 annual fee for this card. Hilton HHonors™ Surpass® Card from American Express. Like the Citi HHonors Reserve, the HHonors Surpass features instant HHonors Gold status and top-tier HHonors Diamond status when you use the card to spend $40,000 within a calendar year. There’s a $75 annual fee for this card. Citi® Hilton HHonors™ Visa Signature® Card. This card offers low-level HHonors Silver status immediately, and a fast-track offer for mid-tier HHonors Gold status after you complete four stays within your first 90 days of account opening, or if you make $20,000 in purchases within a calendar year. There’s no annual fee for this card. Hilton HHonors™ Card from American Express. This card features complimentary HHonors Silver status, but let’s you earn Gold status through the end of the next year when you spend $20,000 in a calendar year. 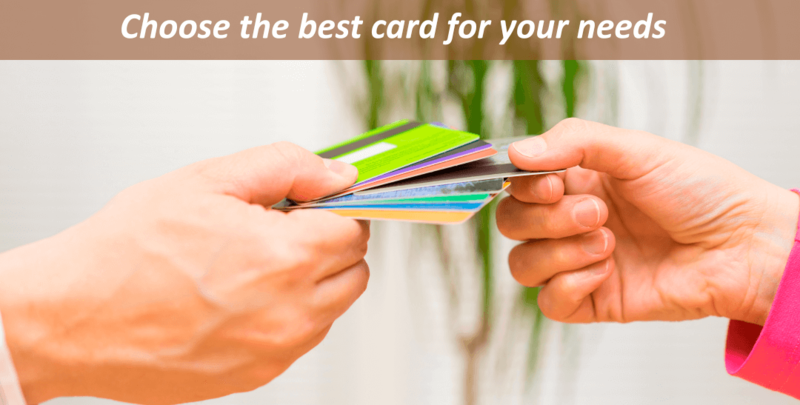 There’s no annual fee for this card. The Hyatt Credit Card from Chase. This card offers you instant Platinum status in the Hyatt Gold Passport program, which is soon to be rebranded as World of Hyatt. Also, it offers two stay credits and five night credits toward Diamond status when you spend $20,000, and an additional three stay credits and five night credits when you . Spend $40,000 in a calendar year. There’s a $75 annual fee for this card. IHG® Rewards Club Traveler Credit Card from Chase. This card offers Platinum Elite status to all cardmembers and has $29 annual fee. This card offers Starwood Gold status after you spend $30,000 on it within a calendar year. You also get credit for five nights and two stays each year toward elite status each year. And since Marriott purchased Starwood, you also get Gold status in the Marriott Rewards program. There’s a $95 annual fee for this card. Marriott Rewards card from Chase. This card grants Silver elite status to all cardholders, plus another night’s credit for each $3,000 spent. This card also gives you elite status with Starwood because of the merger. You need 50 elite night credits to reach Gold status and 75 to reach Platinum. There’s an $85 annual fee for this card. The Ritz-Carlton Rewards® Credit Card. This card offers complimentary Gold elite status the first year and each year following one that you spend $10,000 on your card. You also receive Platinum status when you spend $75,000 in an account year. Ritz-Carlton is part of Marriott, so you status applies to both the Marriott Rewards program and the Starwood Preferred Guest program. There’a $300 annual fee for this card. The United Club card from Chase. A little known benefit of this airline card is Platinum status in the Hyatt Gold Passport program, soon to be rebranded World of Hyatt. This card features United Club lounge access and has a $450 annual fee. The Wyndham Rewards® Visa® Card from Barclaycard. Wyndham recently added Platinum status as a cardholder feature offered to new applicants. Platinum status offers preferred rooms, early check-ins, late checkouts and free Wi-Fi. With status in three programs (four if you count Ritz-Carlton), there’s no doubt that the American Express Platinum cards, both business and personal, are the ultimate in offering hotel elite status. Coming up next are the cards from both Starwood and Marriott, which each feature status in both programs (and Ritz-Carlton). The Starwood card requires a sizable annual spending of $30,000, but Starwood points are incredibly valuable. Marriott offers low-level status for free, and one night stay after each $3,000 of spending, but earning only one Marriott point per dollar spent on most purchases is a poor value. Other good deals include the Citi® Hilton HHonors Reserve Card, and the Hilton HHonors™ Surpass® Card from American Express, which both come with mid-tier Gold status and let you earn top-tier Diamond status for spending $40,000. This is a lot of money, but it’s not out of the reach of many business travelers. Earning mid-tier Hyatt status from the Hyatt card or the United Club card is also very valuable. The least valuable is the low-tier Silver status offered by both the Citi® Hilton HHonors™ Visa Signature® card and the Hilton HHonors™ Card from American Express. It offers late checkouts and complimentary Internet service, but little else of value. Finally, the Wyndham Rewards program can offer exceptional value for your points redeemed, but Wyndham Gold status doesn’t offer much more than the possibility of a slightly better room. By understanding which credit cards offer hotel elite status, you can choose the best one for your travel needs.